Brace yourselves! 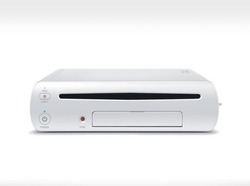 Game developers will be getting updated Wii U dev kits in July. So what does this mean for the Wii U’s future? For starters, the Wii U could be more powerful than what we saw at E3. Sega’s Gary Dunn even admits to having their old dev kit before the console even had a name. It was Dunn himself who revealed this information to Eurogamer. Details on what Nintendo is updating on the dev kit’s are scarce. The general consensus floating around the interweb is that the new dev kits won’t be under-clocked, and will unlock the Wii U’s full potential. Dunn has also stated that it’s easy for his dev team to port other projects onto the system, and that the system itself is quite easy to develop for. However, don’t expect Sega to start going port crazy. Dunn said that each project is green lighted for each system individually. Though I do think it’s very probable that we will see a Sonic Generations port some time after the system launches.